For a few months now I've been using a post-it note system to keep myself more organized and more on top of things and let me just say, I *puffy pink* HEART it. 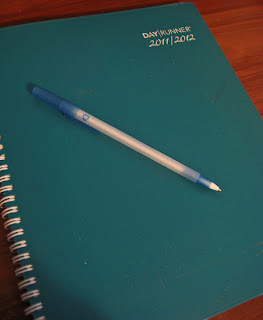 I bought a full size planner (with 8 x 11.5" pages). I picked this one up at Office Max for about $20. The key is to get a planner big enough that you can fit small sized post-it notes on each day grid. Now, when I have anything that needs to be done, I make a post it and put it on the day it has to be done by. 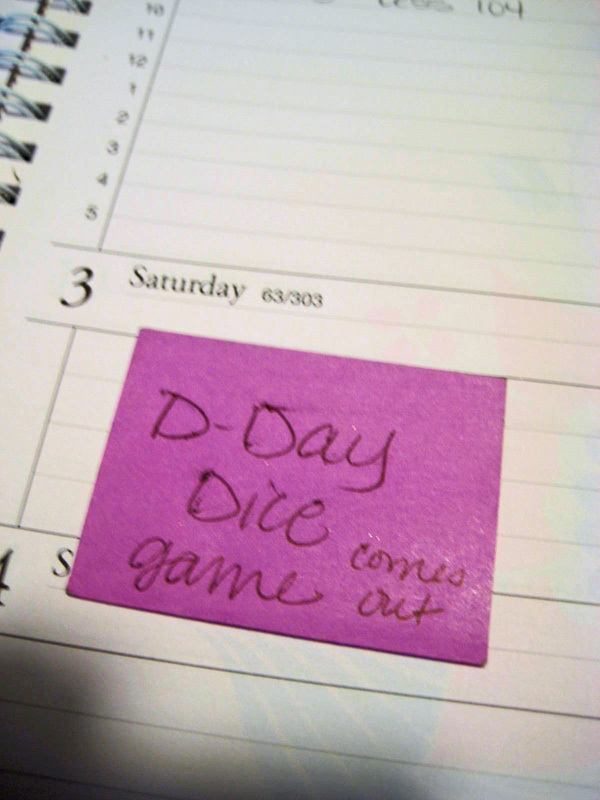 I keep a pack of small post-it notes in my purse and one or two on my desk. These post-its are the 2x2 size. 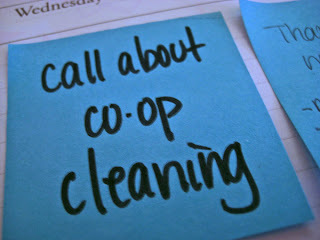 When I have an item that I've finished, I take the post-it off and clear off my day. My goal is to have my day empty and clear. And the post-its hanging out there just annoy me to help spur me on to getting it done. With items that repeat each week, when I've done it, I just move it to the next week that it is due again. If it's a one time thing, I just toss the post-it when it's completed. 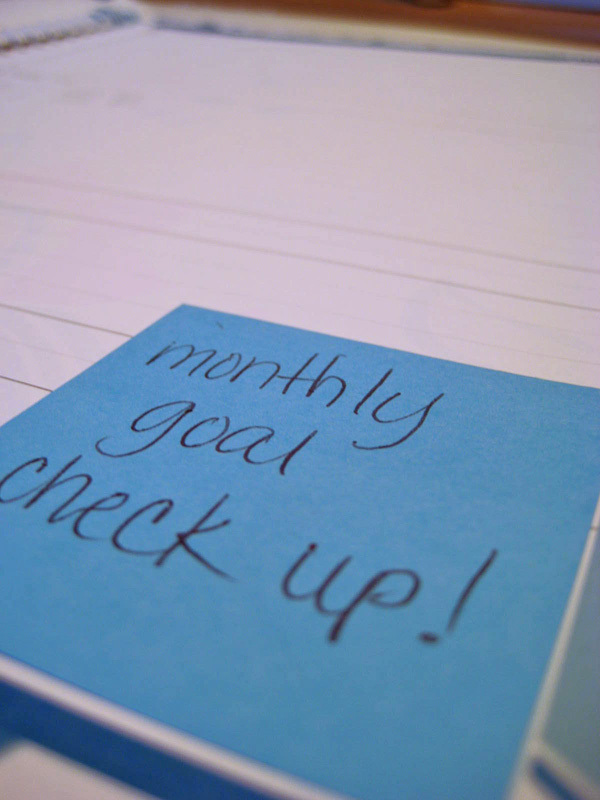 It's also great for keeping me on track with goals I want to reach. 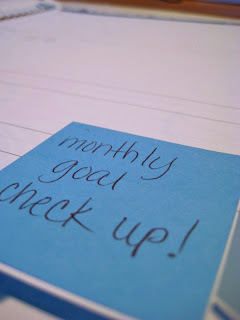 At then end of each month, I have a post-it to remind me to check my goals and record them on my yearly goal list. 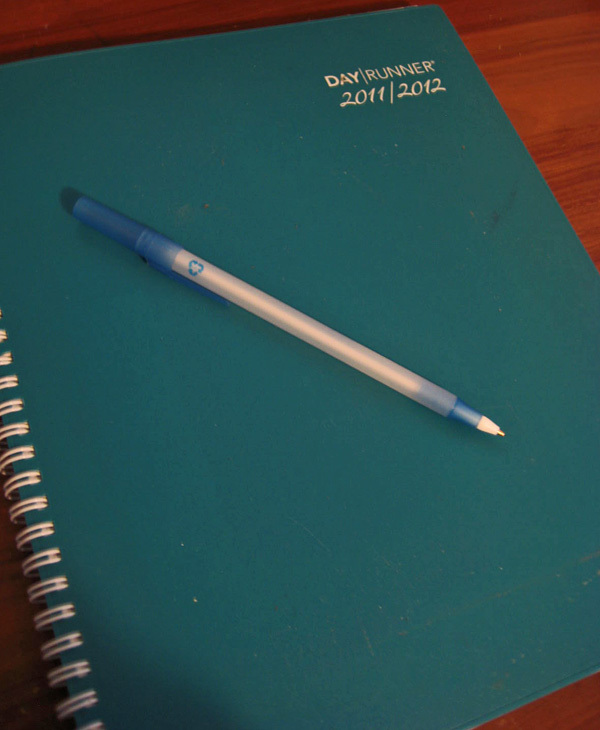 The things that come yearly, I put on the appropriate day, then when done, I stick those post-its in the very back of the planner to re-stick to the correct date in next year's planner. This helps me to remember to do special little things on birthdays or Christmas traditions I'm horrible at remembering. And, I can use it for things that are months away... like a game I'm interested in looking into buying that doesn't come out for a few more months. I know there are other ways to do this, like writing check lists RIGHT ON the planner page and saving money on post-it notes. 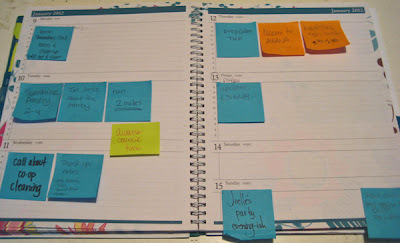 (I've tried that too) but the bright, bold post-its cluttering my page, each representing one item, really work well for me, and even though I'm trying to save money every way possible, this is one expense that is REALLY worth it to me! PLUS, even though I love crossing off a checklist, I REALLY love having a clear planner page and knowing I'm DONE with the important. I have used this system to set and reach goals, keep on top of repeating tasks, and just help my days and weeks flow smoother. I LOVE it and it works for me!